Since summer is ahead, you want to ensure that your air conditioner is functioning at its best. The last thing you want to happen is to have a malfunctioning air conditioner on the hottest day of summer. Since an air conditioner involves a complicated system of components, there is a lot that can go wrong. 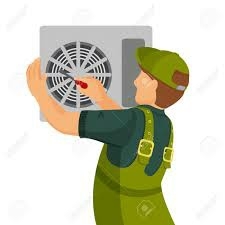 But you can also be aware of what parts can break, so at the first sign of trouble you can call in a fully qualified air conditioner technician. If you haven’t already, there’s a good chance you’ll need to call your local HVAC repair company to fix on or more of the following. The contactors and capacitors are two of the most common parts that are going to malfunction first, and they’re also the most typical repairs that an AC will need to have repaired. This is because a large amount of electricity is flowing through these components, causing them to get hot. When the temperature rises outdoors, it makes these parts work much harder. It doesn’t matter whether you’ve bought a high quality expensive brand, Modern of AC or a much larger unit, these components are often the first to fail. But the good news is that they don’t cost a lot of money to fix. The condensing fan motor is perhaps the next most common failure in an air conditioner. It has to endure high temperatures in the summer, as it’s also exposed to the elements. Even though there is new tech every year, it’s still a hard problem to solve as the fan needs to be near the outdoors, but still protected. A fan’s motor can be a bit more expensive to repair. Compressor failure is another thing that you have to worry about in your AC. This is similar to the engine in your vehicle, and it’s also one of the most costly of AC repairs. In some instances, it may be better to simply replace the entire AC unit than replacing the compressor, particularly if the warranty has expired. Did you know that the refrigerant should not be refilled in your AC? It’s also not legal to refill the refrigerant year after year. If it does need to be refilled, this means there could be a leak somewhere. But the issue is that it may not be fixable, so you may simply have to purchase a new AC unit. This can settle inside your air conditioner despite your best efforts at keeping the surfaces clean. Minute particles can collect on the condensing coil which will make it operate more sluggishly. This can also lead to ice building up on the copper lines inside or outside the unit. While you can do it yourself, technicians recommend you don’t, as it can be an electrical hazard. If you think that your air conditioner has some bad parts, now is the best time to get them fixed or replaced before the start of summer. New parts will restore your old unit to like-new functionality, and even help to save on the energy bills. 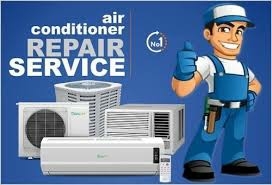 This article is courtesy of Howard Air, an air conditioning repair company in Phoenix. Contact us today to learn more about common HVAC issues and how to avoid them with proper maintenance.